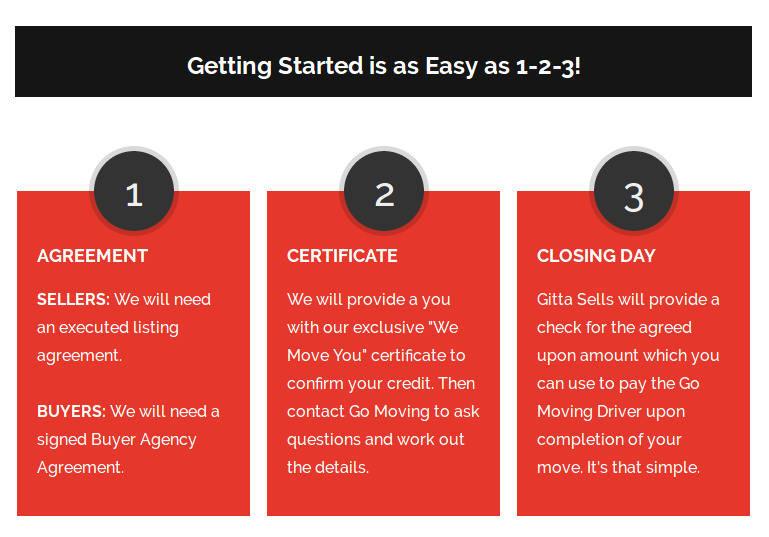 Gitta Sells & Go Moving Partner To Deliver a Stress-Free Move! As a token of our appreciation, the Lake Mary real estate professionals at Gitta Sells will provide a free moving check to be used with our friends at GoMoving.com. You’ll also be pleased to know that Go Moving can accommodate everything from a full service pack and move to just moving for local, in-state or long distance moves. WE MOVE YOU – PROGRAM GUIDELINES: Minimum Purchase or Sales price is $250,000 with 3% commission. Minimum check for moving expense is $250, which typically covers in-city moves of an average size home. 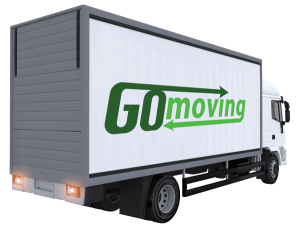 Go Moving offers a wide variety of services from a full-service pack and move to labor only. Program participants are responsible for contacting Go Moving in advance and decide their level of service and are responsible for any costs over and above the check amount provided by Gitta Sells and Associates. Gitta Sells will provide a We Move You Certificate which will serve as our commitment of check amount. Actual checks are provided upon successful closing and can be used to pay the Go Moving Driver upon completion of moving services. We Move You promotion only valid for successful closings. Gitta Sells and Associates has experienced many successful moves with Go Moving however, we are not affiliated in any way and are not responsible for any service claims that may, or may not occur. Contact Gitta Sells today to find your dream real estate in Lake Mary and get moved easier than ever before.